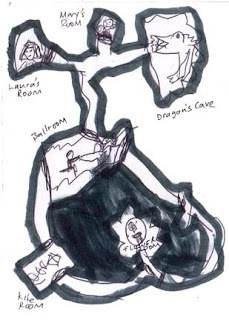 Because I assume that everyone wants to hear more about my daughter's seventh birthday party, here are paired dungeons created by my daughter, Miss M, and myself; my first Year of the Dungeon collaboration. 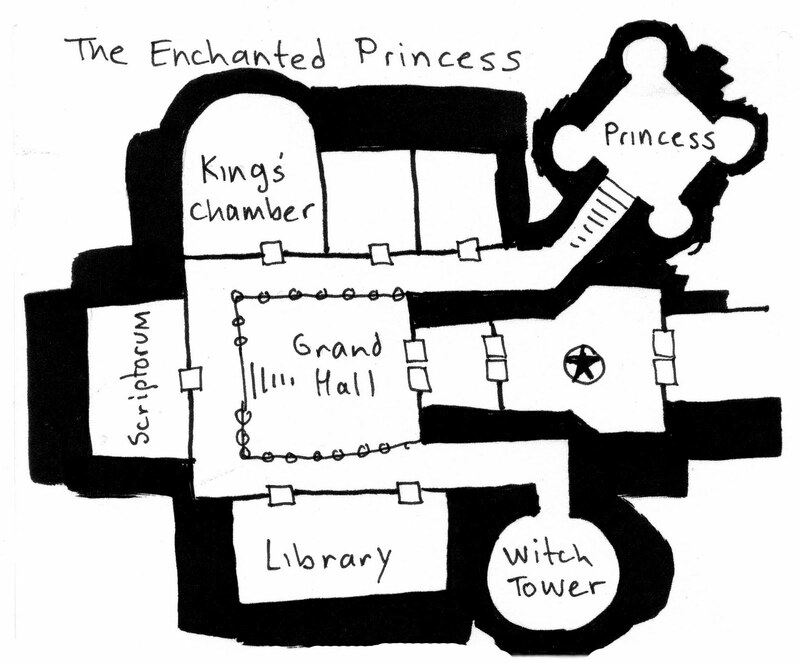 The first dungeon (I drew that one) contains rooms requested by Miss M. The second she drew after expressing some disapointment with the shortcoming of my dungeon. 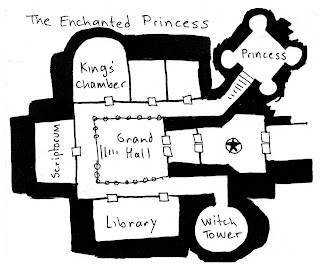 It's not entirely visible, but the hallways to the Dragon's lair ends in a blank wall with no door, "because then the dragon would get out!" Note also the Ballroom, and the all important Kite Room.